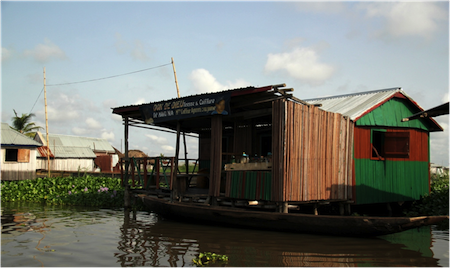 Ganvié in the Republic of Benin is a unique village built on Lake Nokoué, near the administrative capital of Benin in West Africa. Houses are built on wooden slits and bamboo several feet above water and the village has a population of more than 50,000 thousand. The phrase “ganvié” means “the collectivity of those who found peace at last” – a historic reminder of the event that brought this village of water into existence. In the 16th century the kingdom of Abomah was waging war against other tribes with a mission to capture prisoners of war to supply slave merchants to Europe, South and North America. 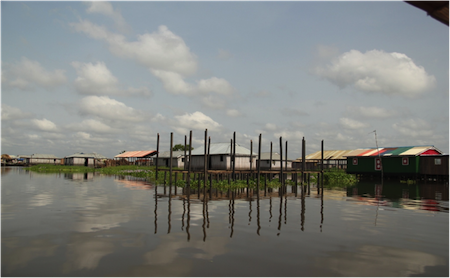 The chief of the Tofinou tribe decided with his people to build the lake village and settle there to escape slavers who came from the kingdom of Abomah, who for traditional reasons would not fight on water. 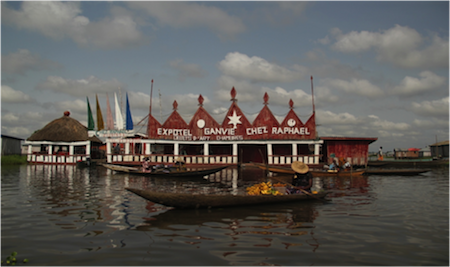 From canoes and rafts, a village system on water emerged, which included markets, and today, hotels, schools, salons, restaurants, a church, a mosque and local clinics. 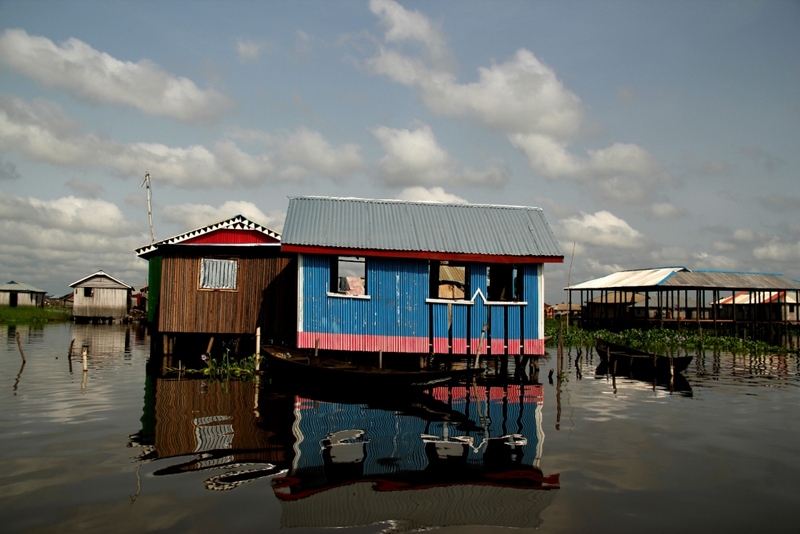 In Ganvié, houses are built on wooden slits and bamboo several feet above water. 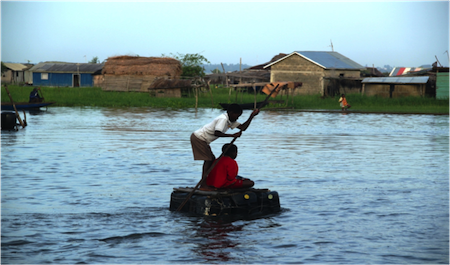 School boys sailing to school on a make-do jerry can boat. 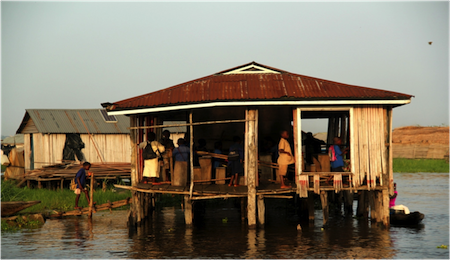 The only government primary school on the lake. 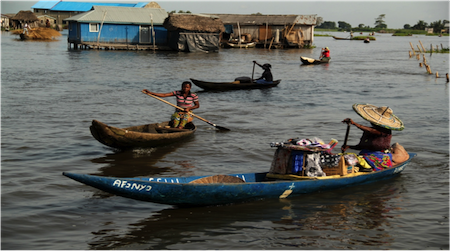 Women sell their wares on boat. 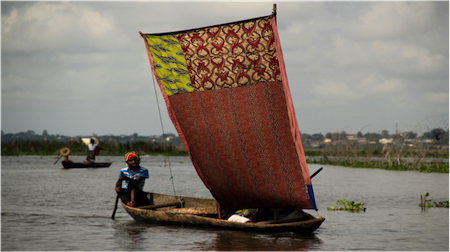 A woman sailing home from market. 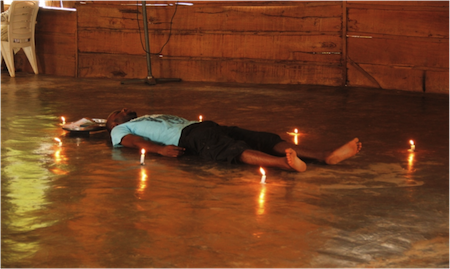 At a Voodoo clinic in Ganvié, a man is undergoing spiritual purification. Once banned, Voodoo is now an official religion in Benin. About 60 per cent of the country’s population of seven million practice the religion. The ‘God Bless’ unisex salon. Looking good is a serious business. A little girl sails home. 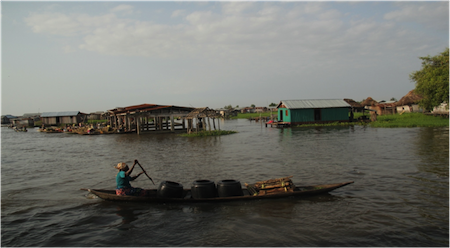 People in Ganvié rely exclusively on fishing and tourism for their livelihood. A five-star hotel in Ganvié. Ganvié is now a UNESCO World Heritage Site.